A new Partner Finding Site for Thinking School People has been launched (Thinking Schools Network) Available in English and “Scandinavish”, the site is beginning to fill with the details of interesting schools, thinkers, innovations and speakers. The site has been set up by Bengt Lennartsson and Bitte Sundin, following their hosting of the 13th International Conference on Thinking in their home town, Norrköping (Sweden) in 2007 and the subsequent Nordic Re-Thinking conference the following year. How Much Challenge is Enough Challenge? Getting children to play pairs (matching one card to another) is a great way of improving their memory skills and strategic thinking. But how many cards should you start with when playing the game with nursery children? Most foundation stage teachers tell me 8 cards (4 pairs) or thereabouts. 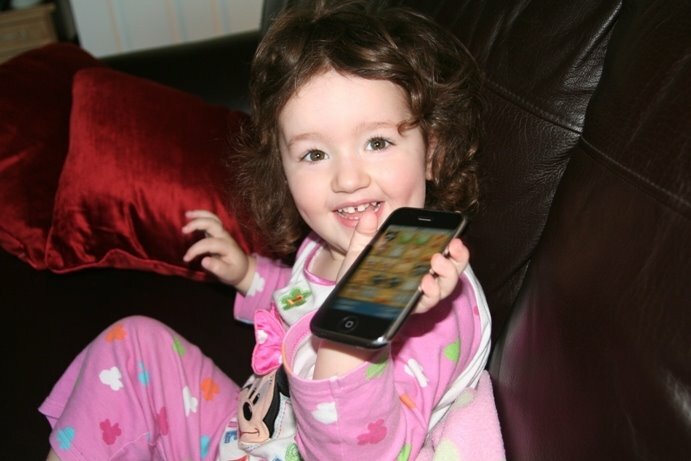 ½ year old daughter and I downloaded Animatch, a game of pairs for the iPhone that comes with 20 cards as standard. Thinking this is too many for Ava to deal with, we simply listened to the sounds that each animal makes and names the creatures as we went along. However, within 10 minutes of playing around with the programme, Ava had worked out the object of the game and was merrily matching the cards to their pairs. Her initial strategy was to pick one animal and then keep going until she’d found it’s pair before moving onto another animal. She soon realised that this is an inefficient strategy and so moved on to working out what was under each card and matching as she went along. It now takes her 90 seconds to complete the game without the need of any guidance or encouragement. Bravo to Martyn Soulsby and everyone at North Lakes School in Penrith (UK) for being the first school in Cumbria to receive the Sing Up Platinum award! 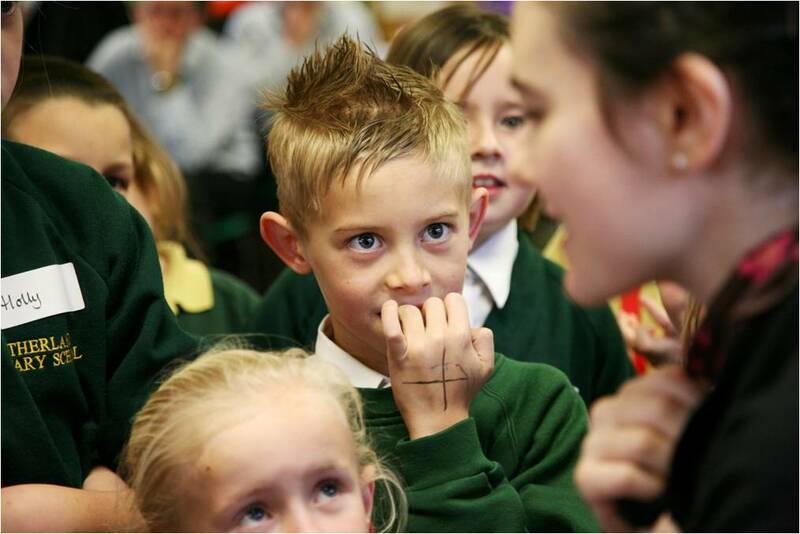 Singing happens at the school every day, within and beyond the music curriculum – just for fun. They also regulalry perform at regional and national events. The Singing Squad, consisting of Year 5 and 6 pupils, selects and learns its own songs and assist and encourage singing amongst the children in the playground. Pupils are encouraged to use the Sing UP website and Song Bank at home in their own time and the school is introducing a section on the school Moodle (Virtual Learning Environment) for the pupils to access at home. Parents are highly supportive of the singing that goes on at North Lakes. They attend the monthly Sing Up sessions with Ems Featherstone and many parents accompany the choir on their many events and trips. 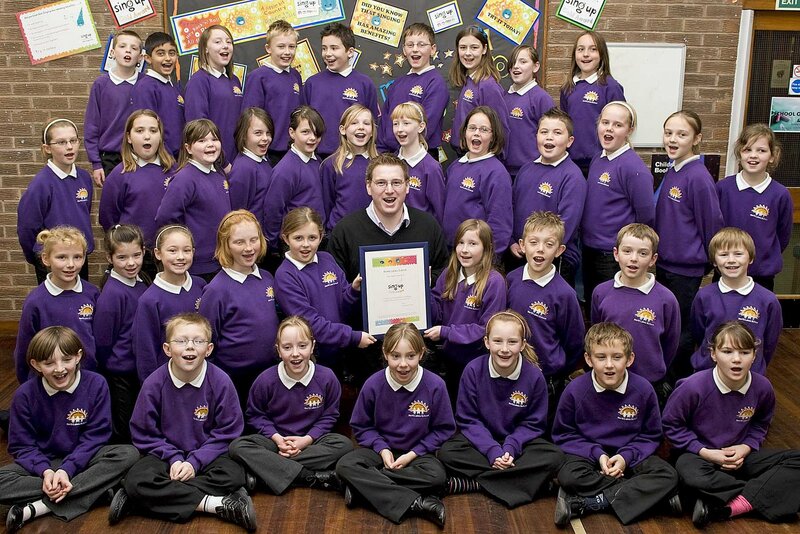 The school now act as ambassadors for Sing up and the national Music Manifesto. Facilitating Philosophy for Children (P4C) can be a challenge with average class sizes in the UK of 30 but a possible solution is to have 2 circles of children – an inner and an outer circle. Whilst half the children sit in the inner circle engaging in the community of inquiry, the other half sit in an outer circle mind-mapping or in some way recording what is being investigated by the other children. Every 10 minutes or so, the groups swap over. Children partner up, one from each group, so that they can compare notes and respond to each other’s thoughts. Do students think differently when, whilst in a dramatic role, they take part in a Community of Inquiry? Dramatic Enquiry develops creativity, responsible independence and transferable thinking skills. It appeals to parents and teachers who want a broad and balanced curriculum for their children, and encourages us all to be motivated and questioning learners. We believe that creative thinkers will influence all our futures and that “Educare”, an approach to education that draws on the talents of every learner rather than relies on the expertise of a single teacher, supports creativity and effective learning. To this end, we are developing a training model that is open to all learners, based in schools that are centres for excellence in the Dramatic Enquiry. 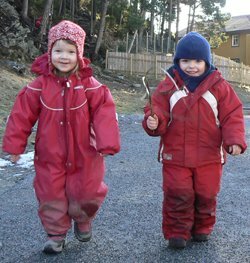 Learning Outdoors: come rain or shine, sleet or snow children between the age of 5 and 6 at a school in Norway spend all day learning outside. Can you imagine dinner nannies in the UK agreeing with that?! 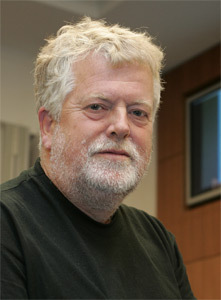 A big thank you to Stephen Heppell, the inspiration for starting this blog. I met Stephen at a headteachers’ conference in North Lincolnshire. His morning keynote was so fascinating that it stopped me preparing my afternoon keynote, which is what I should have been doing! This ageing hippy (as he described himself) lives on a boat on the Thames, and travels the world supporting learning through technology and innovation. During his presentation he used everything but powerpoint, including video files, blogs, websites, photos, webcam footage on his iPhone – anything in fact that he had stored on his Macbook! One of the many things he said that got me to thinking was how most teachers download lots and upload very little whereas our students are uploading to the web as much, if not more, that they are downloading.